What’s that Michelle? Did you just do that math? That means those pills and circles are worth about $21,000??? Well it is Damien Hirst. Some say he’s the next Warhol, some say he’s crazy. If you’ve got the cash, you can sport some of his madness on your back, the limited edition bags are up for grabs started 12/12 at JUST ONE EYE. Sorry, no free shipping on a $55,000 bag. 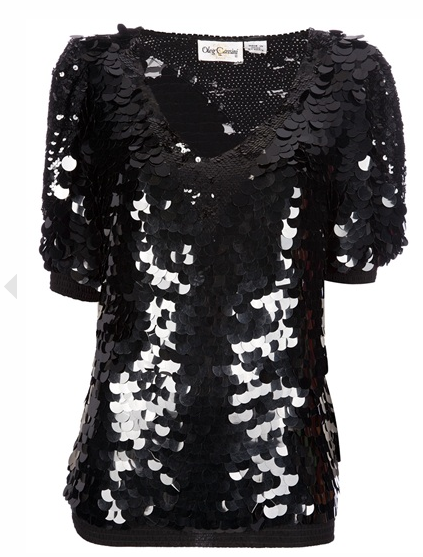 While the flavored vodka does sound amazing, what I’m really craving is the navy blue sequin top dress that the actress, Roxanne McKee, is wearing in the commercial. 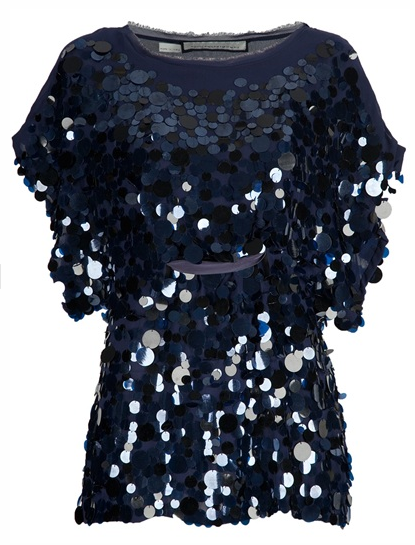 I need this topdress Navy sequins, a longer fit, deep v, short sleeves (that look to be a little longer too) I’ve been searching for it for days! It’s not a dress, too short for that, maybe a tunic? You could get this gold version at Saks for $89 !!! 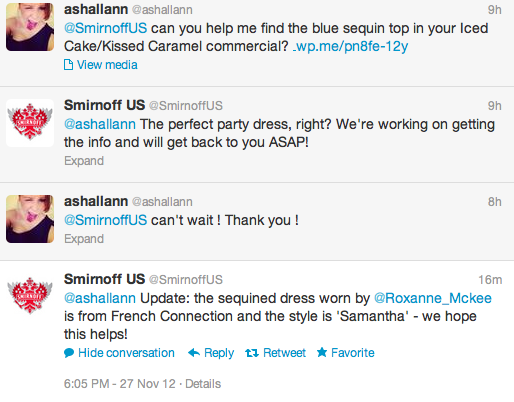 If you google “French Connection Samantha” you’ll find tons of different versions. Happy shopping!!! 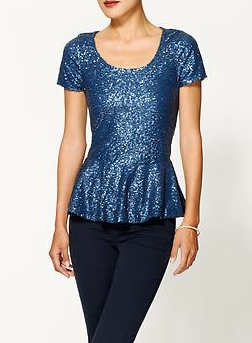 This DKNY top ($62.99 on Zappos) is slightly similar, comes in black and a royal blue. I almost wish they could combine the black and royal blue to get closer to the navy but sadly this is interwebs shopping, not Photoshop, can’t adjust the hue. I thought for sure I’d find the top on Polyvore instead I found these bad boys. 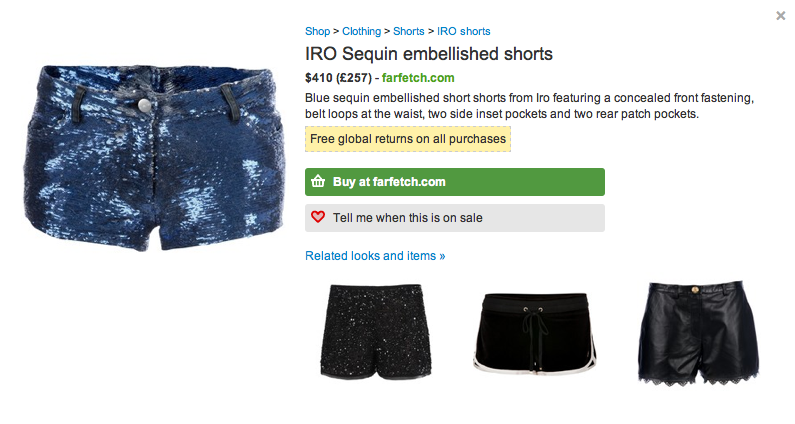 Sequin jeans shorts? Really? I’ll keep searching, if you spot anything similar hit me with a link. I’ve been obsessed with it all week, the scent is just right (not overpowering at all) the texture of the lotion is perfection, I’ve been pushing it on my co-workers in my cube all week. I’m so glad I found this shop, I’m definitely picking more up for the holidays. 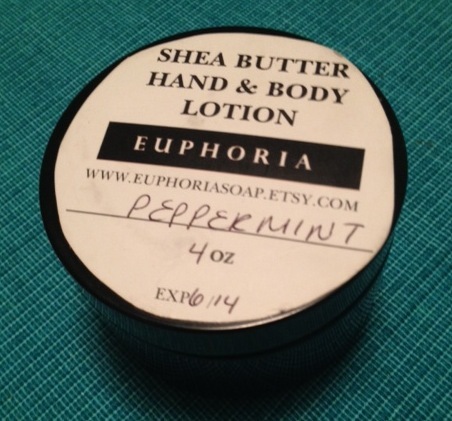 Euphoria Soap is the name of the shop and there’s tons of goodies in there. 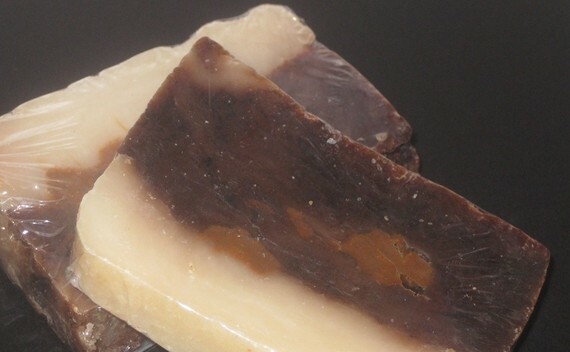 Hello , Fat Girls Delight Soap? I would totally want to eat this in the shower! Got a favorite etsy shop? Would love to hear about it! How did you discover them?